Mid-Life Cruising!!! : Relaxing After the Drama! Losing my shoes and my worries in the cockpit! We can't believe it's been 3 weeks since our last post! In fact, some of our followers have wondered if we fell off the boat! Well, we're still here and we didn't fall off the boat. However, we felt like "jumping ship" a few times during the past couple of weeks. To keep this post from getting too long, let's just say that we had rental "deja vu" and it has kept us really busy (and stressed) lately. For those of you who have been following our blog for a while, you know the problems we've had with finding good tenants. We had hoped that the rental "drama" was dead for a while, but unfortunately we were wrong. Once again we found ourselves knocking on the door of our rental when the rent check never came and our phone calls were ignored. Once again we found an empty and filthy house! Did I mention how much I hate cleaning other people's filth?! All I can say is thank goodness for rubber gloves! So, without having time to spare on feeling sorry for ourselves we rolled up our sleeves (while I shed a tear or two), cleaned and painted the house, and found new (and hopefully better) tenants for July 1st. 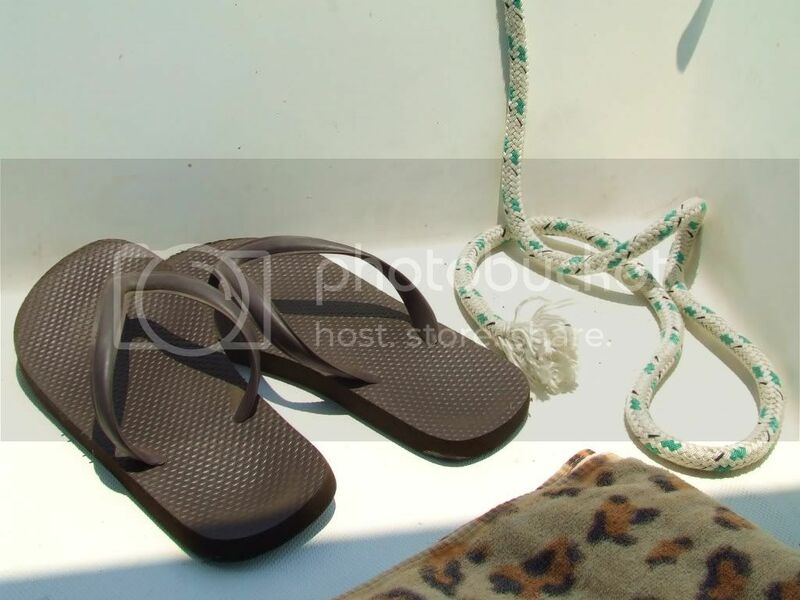 It is appearing more and more to us that trying to maintain rental property while enjoying the freedom of cruising on our sailboat is not going to be easy. Once we get our personal home sold we're really going to have to think about whether or not we want to remain landlords or invest our equity somewhere else. I guess it will also depend on whether or not our tenants are living up to their own responsibilities. Without going on a rant, I will just say that it's scary how hard it is nowadays to find responsible and conscientious people! We've run a credit check, verified employment, googled, called prior landlords, and even visited the tax assessor's web site to make sure that the prior landlords really owned the rentals and weren't fakes. I guess that's all we can do and we'll keep our fingers crossed that there is no more rental drama in our future! During all of this drama Ken and I also celebrated our 22nd wedding anniversary! It was June 11th (a Saturday) and after running errands all day we finally stopped that evening and took a break from our life and its responsibilities. We decided that we would TRY not to think about the rental again until that Monday. We figured we'd start with drowning our worries with drinks and appetizers at the local Copeland's restaurant and bar. This is one of our favorite places, with great drinks, New Orleans style food, and a lively atmosphere. This was a great way to start our "escape", and we slept really well that night! 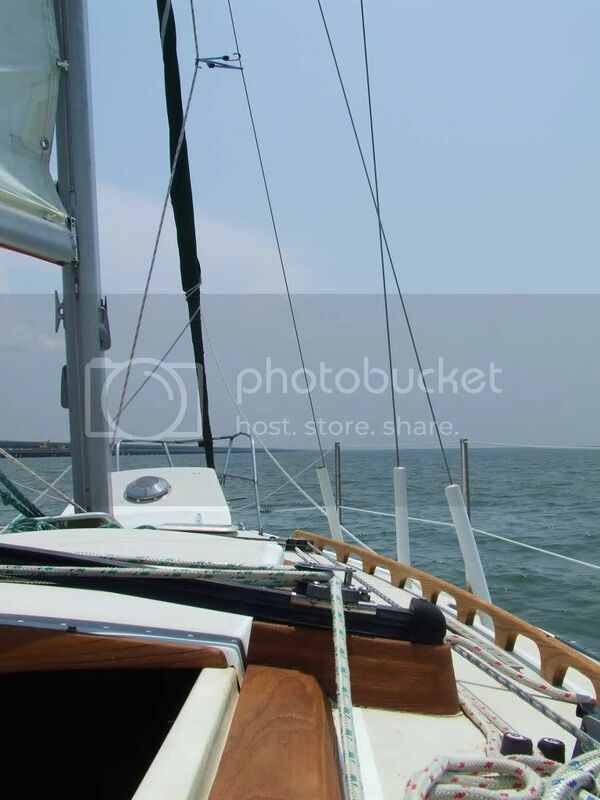 We woke up early Sunday morning for the real "escape" and anniversary celebration ... a day of sailing on the lake! 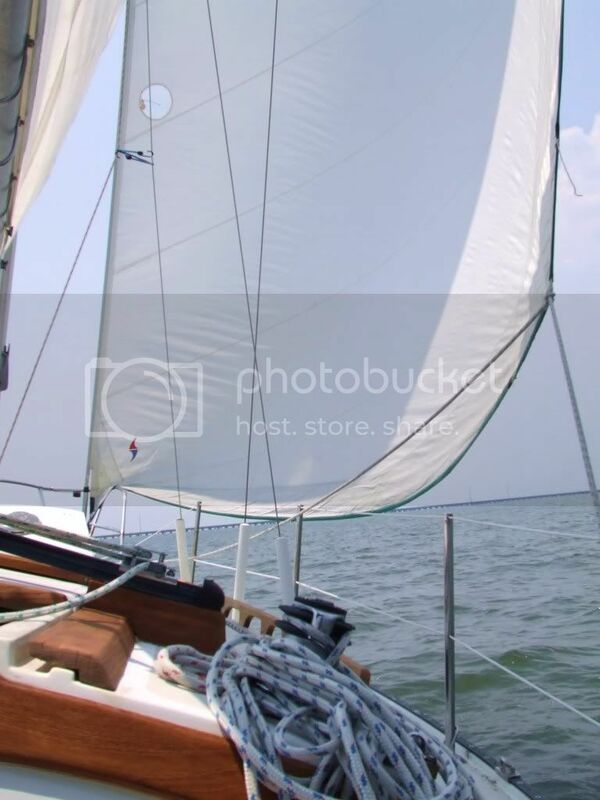 I tell ya, there's no better way to relieve stress than a quiet day on the water with the sails full and our favorite tunes playing in the cockpit! It never gets old, and it never loses its magic! We could just feel the stress leaving our bodies and spent hours on the lake, forgetting all our worries and reluctant to head home. While on the lake we grilled some burgers while talking about how cool it will be when we're in the blue waters of the gulf headed South! Times like we've endured lately really make us antsy! In fact, Ken and I had planned on using an opening in our schedule to finish up the projects on our house required to put it on the market, but instead we had to use that time on our rental. We hope to find some time again in the very near future to dedicate to our own home. At least we already have our sailboat to escape to in the meantime, even if it is only for a day or two at time. After sailing on the lake Sunday, we were back to reality on Monday. The week was a blur and before we knew it, it was the weekend again. With the rental clean, the lease signed, and the deposit and first month's rent collected we were exhausted! So, this past weekend we pretty much did nothing! Ken visited a friend for a little while on Saturday, but I just didn't have the energy. The sofa was my friend! Yesterday was Father's Day, and my wonderful dad understood my exhaustion and told me to rest. (I am looking forward to lunch with him this week). Both Ken and I spent most of Father's Day on the sofa, in the air conditioning, watching tv and relaxing. Our daughter and her boyfriend visited for a while and gave Ken a couple of really cool flashlights, a soft tool box, and a Jamaican style ash tray for Father's Day. 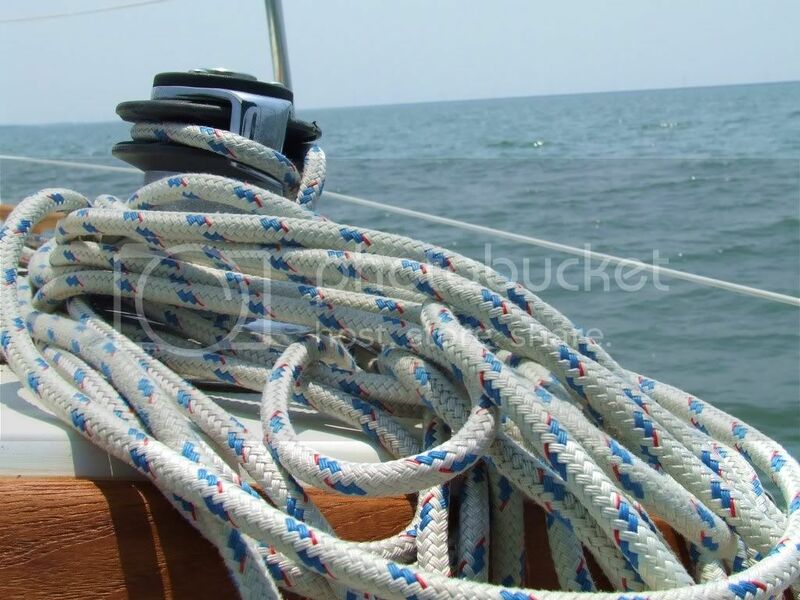 All of these things will be great for the sailboat! Ken hopes to quit smoking soon (it doesn't work too well with our cruising plan or budget), so the ash tray will make a cool coin dish for Nirvana. So, that about catches us up on everything! Hopefully there will be no other drama in the near future to keep us away from blogging and sailing. We lost some time (and money) thanks to the rental, but we keep telling ourselves it will pay off ... right?! Yikes another renter nightmare. Already. I just couldn't do rentals. People just don't care when the property doesn't belong to them. Well most don't. It's a shame. I'm glad you got out and about and enjoyed a day on the water. Good for you. I concur that being out on the water beats just about anything. At least you didn't have any boat drama! Hans once said he thought he'd like to buy a duplex so he could rent out the other half. I told him no way were we going to worry about renters while we're away. And anyway, the Knotty Cat sucked up everything we may have been able to invest. Happy Anniversary! Sorry to hear that you're still having renter issues. Ugh! I don't think I could leave to go on any kind of long-range trip, cruise, adventure, whatever, owning rental property. Maybe with a property manager, but that tends to eat up the profits. Glad you got to have a good sail and some relaxing times at home to de-stress after all that! Awww - so sorry to hear that!! Sounds like a MAJOR bummer...glad you got out sailing and we'll keep our fingers crossed that these next tenants are NOT a nightmare! I remember going through this same drama when your dad had rental property. You're right...it's the pits when you have to clean up someone else's filth out of the toilets !!! Glad to hear you've got it rented again. Your dad is looking forward to your upcoming luncheon. Happy Anniversary!! I remember so well the day you two were married. Yeah that really isnt fun! Tate and I battled with whether or not to keep his house in Baton Rouge and try to rent it while cruising or to sell it and be totally free. After a year of thought we decided to sell it! Reading your story makes me feel better about our decision. Now we just need a buyer!!! You could be in Cozumel in six days, assuming an average speed of @ five knots. Hoping you make it happen sooner than later! P.S. 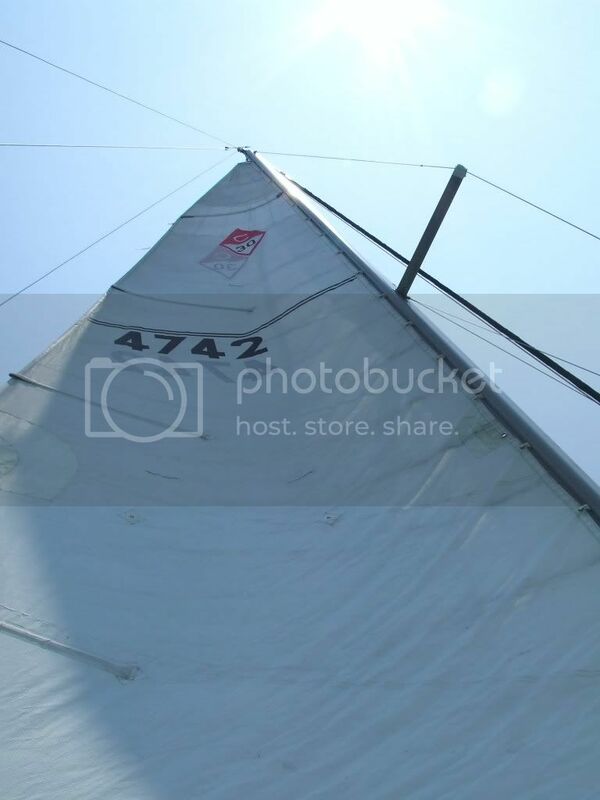 ; I wish I was sailing, too. ugh I am so sorry about your rental troubles. Surely your time has come to have good people this time around! the anniversary sail sounds FANTASTIC!! I hope you have more such wonderful times SOON. Thanks everybody! We are really hoping these new tenants are better than the past ones. Barco ... six days to Cozumel! So close yet so far! We're gonna get there!